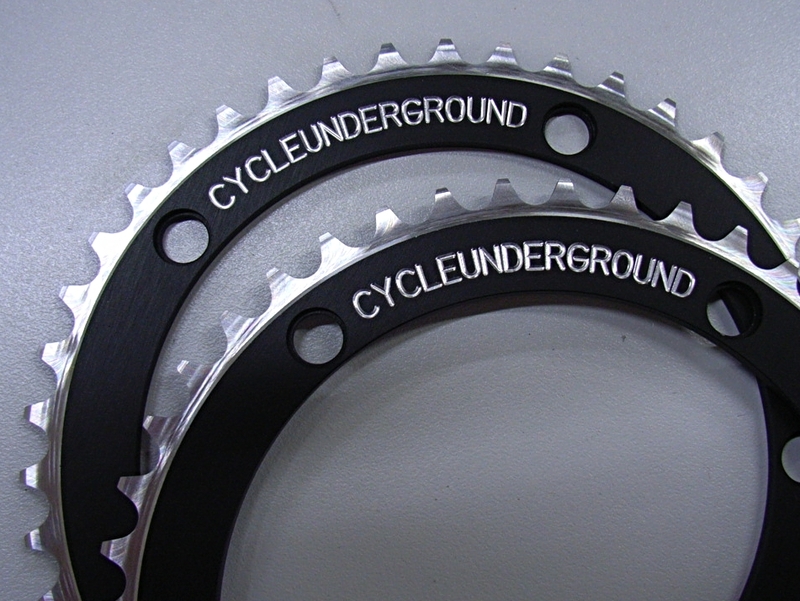 A simple, solid and perfectly round chainring with no high spots.....that's pretty much all this is. The plain design with no excess machine work allows the price to come down without affecting the quality of the ring. For a little added detail I engrave and machine the face of the teeth after anodising . I have a new reduced price on these rings as I am producing them in much larger productions runs. 130 BCD..... 42T to 48T. 144 BCD.... 43T to 48T. To order, I simply need the number of teeth and the BCD of the chainring and of course your name and an address to send it to.